Researchers from Europe have embedded mesoangioblast stem cells in a specific scaffold and then injected this graft into mice with chronically inflamed and sclerotic muscles that were similar to an advanced muscular dystrophy into a potentially new therapeutic technique to repair and rebuild degenerative muscle disorders. The research revealed an increase in survival of the stem cells and better organization of the muscle fibers in the chronically inflamed and sclerotic areas. 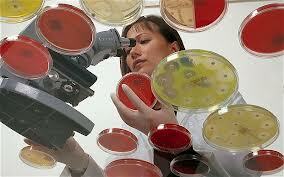 As stem cell therapy research moves forward in all areas particularly in musculoskeletal medicine. The potential for healing and regenerating muscle and joint injuries has profound implications in society as debility from chronic musculoskeletal disorders is a significant medical problem, Dr. Lox points out. If more effective treatments to avert the long-term debilitating effects from these disorders occur, profound implications in diminished medical cost, more productivity in society can be obtained. Additionally, quality of life and maintaining active participation in exercise and sport will lead to reduction of other health care maladies especially if obesity is addressed. 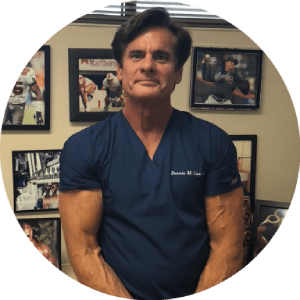 Dr. Lox sees a need for alternatives to joint replacement therapy in which individuals are often told that eventually their joints will deteriorate and will need to be replaced. The patients are often looking for alternative treatment strategies and the future of regenerative medicine holds promise as new developments occur.